Parasailing Englewood Beach at its best! Englewood Beach Parasailing made our vacation, the staff was fun (and cute), and the blue water was fabulous. We had the best time ever. Parasailing was GREAT! Thanks! 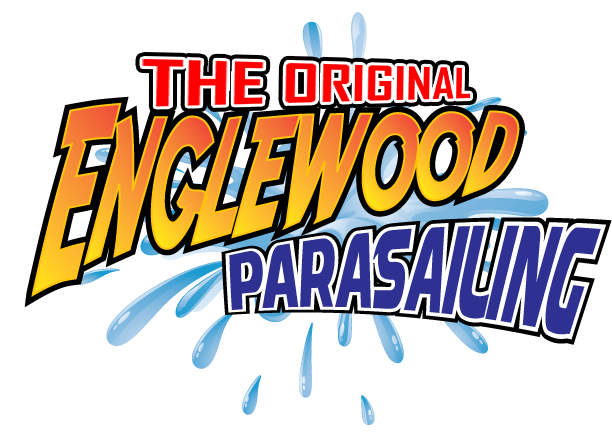 with Englewood Beach Parasailing!!! We started out Parasailing just the two of us but shared the boat with a nice family of 3 (they all went up together!). The whole trip was almost two hours so it was a great boat ride. Bring cameras and sunblock! Saw Lots of dolphins! We made it an all day experience and what a great time! The staff was very professional, fun, and just made it all the more exciting and enjoyable. Tony and Bryan were professional curtious and entertaining. Had a group of six. Everyone had a great time. Felt safe even with fears of heights. Purchased the additional picture package, well worth it! Went out of the Englewood site, parking was a little difficult to find. We were greeted by Captain Tony and Captain Bryan , who had the best personalities ever. They were both very thorough in going over the safety rules before the FUN began. An enjoyable and exciting experience for sure . It was the first time parasailing for the kids and they had a blast . We also had our photos taken to capture the unforgettable experience . Thank you so much . I would definitely recommend them .